Rent chateaux and cottages in Stroud, England with private pools. Wilfred Manor is an expansive Grade I listed manor house, exceptionally restored to the finest standard of modern luxury, yet staying true to its long and prestigious history. 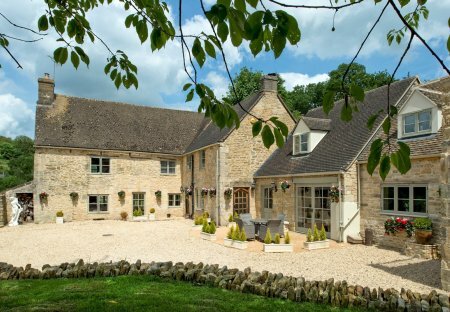 Cotswold Valley Manor makes a wonderful base for those wishing to fully explore the beautiful Cotswold region with its iconic market towns and truly stunning scenery. 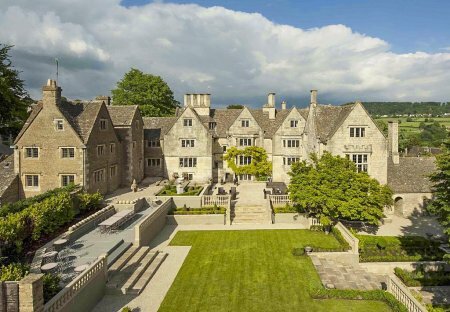 Painswick Hill House holds a fabulously tranquil location nestled amongst beautiful Cotswold hills.